In 1860, Lettie Morgan runs away, humiliated by her aunt. Mixing with a group of showgirls, she is mistaken for the leading lady and goes to California. The troupe misses the main wagon train and are attacked just as they cross the California boundary, but are rescued by Captain Tex Autry. Lettie believes that Tex has been insolent in condemning the troupe and reports him to Colonel Seward at Fort Henry. Horses are stolen from Fort Henry that night and when Tex goes in pursuit, he is believed a traitor, captured, and condemned to death. Judge Lane is asked by Lettie to intercede, but he double-crosses her. 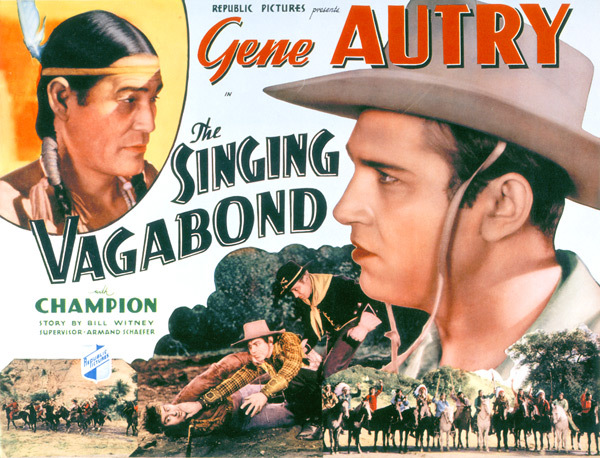 Aided by his pals, Frog Buffalo and the Idaho Kid, Tex escapes from prison and rides out after the wagon train with which Lettie and the troupe have gone. Attacked by renegades and Indians, Tex arrives to join what seems a hopeless fight, but his own band of fighting men arrive in time to turn the tide. One of the renegades confesses that he stole the horses from the Fort, which clears Tex - and Tex clears up a certain situation with Lettie.